CMF Delivery was founded with a commitment to provide a better over- night delivery service. We are a customer-driven courier and messenger service, with three locations to service you. We are located in San Diego CA, Anaheim, CA .. We serve a wide range of clientele though-out California. We offer competitive prices and an experienced professional staff. We pride ourselves in the excellent service, speed and personalized attention that all our clients receive. At CMF Delivery we keep on top of the details, like monitoring frequency and volume for each customer. Often, we can anticipate your changing needs, and find ways to meet them quickly before a problem even arises. When you chose CMF Delivery you are choosing one of Southern California’s largest contract courier and messenger services. We are specialists in the courier industry with more than 40 years of experience. With a State wide network of couriers, CMF can service small businesses to large corporations. With a 40-year track record, chances are we’ve seen it before, done it before, and if we haven’t, our experience helps us find solutions. Fast. Timing is everything, particularly when it comes to your scheduled delivery needs. You can rely on CMF Delivery to manage the critical deliveries that keep your business moving forward. Designed to provide daily scheduled inter-office communication for companies with multiple locations, our over-night pouch service is reliable, convenient, and economical. Customized delivery routes tailored to meet your needs. 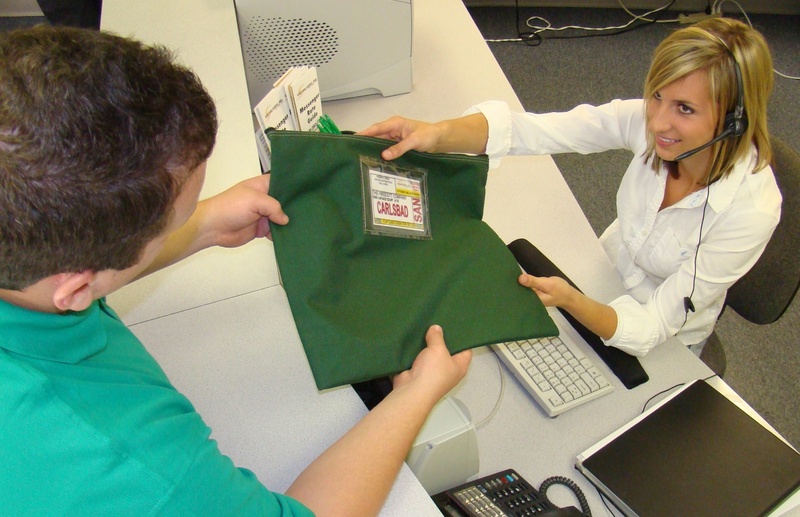 The re-usable vinyl pouch and address card eliminate much of the paperwork associated with other methods of shipping. Our monthly billing system makes reconciliation and payment of accounts simple and efficient and we customize the service to fit your company's individual requirements. 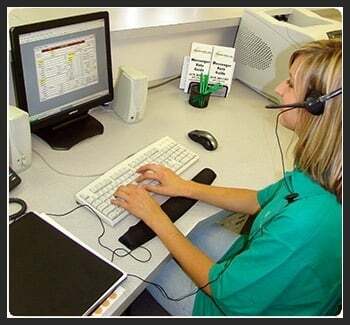 CMF Messenger Service is the leader in local and regional On Demand Messenger service. Although we focus our service in the San Diego Area, we offer Same Day Messenger Service to the Los Angeles, Orange, Riverside and San Bernardino areas. Let us store and inventory your parts, products and supplies in a secure environment and deliver them to your customer any time of the day or night they are needed. 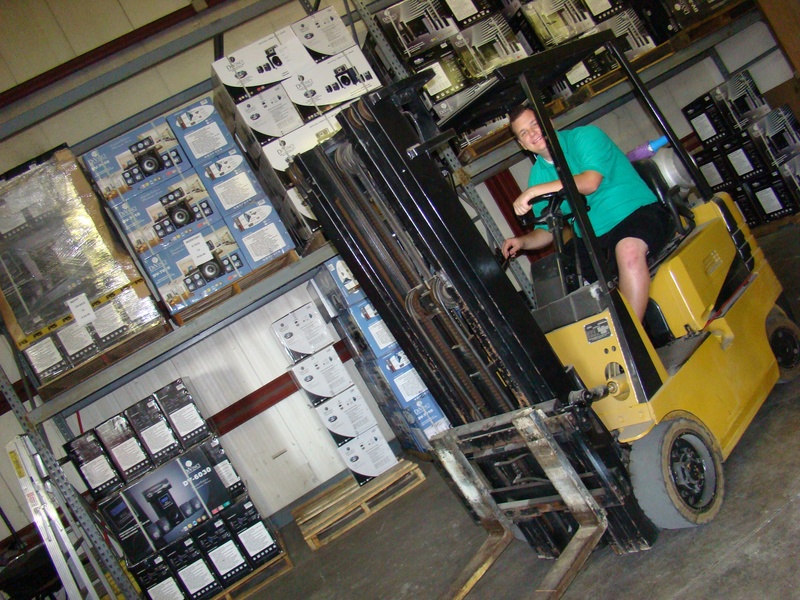 Our warehouse has proved it’s effectiveness for our customers who have to respond to instantly to their customers emergency situations. It’s a perfect choice for any type of company needing an inventory presence in the San Diego without the cost of a full staff. Our Around-the-Clock Dispatch Center keeps you in complete control 24 hours a day access to your emergency parts stock. Whether it’s delivered local or 250 miles away, our Parts Depot Center gives you the fastest possible response to meet your needs.